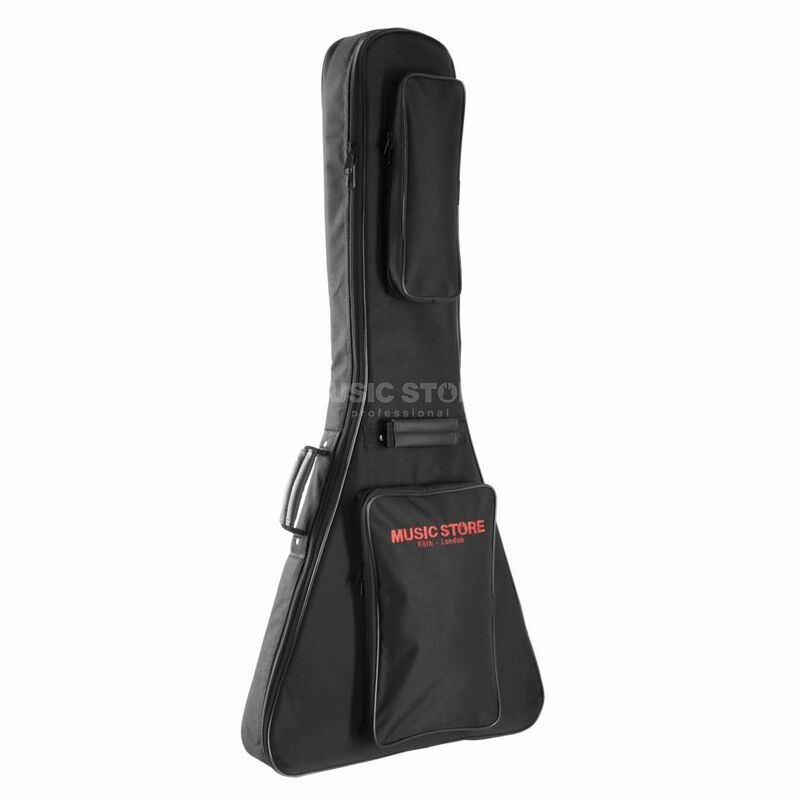 The Music Store Deluxe V-Guitar Gigbag is an electric guitar gigbag, for V-shaped guitars, made from nylon that is water-resistant, with 20mm padding, and a robust carrying handle. This robust deluxe gig bag protects your V-style guitar reliably on the way to practice, rehearsal or performance in any weather. The straps are robustly sewn on and the front pocket provides space for any of your accessories. The rings and snap hooks on this gigbag are all made of stainless steel. The handle ensures a comfortable fit.